Mr. Karmali graduated with a Bachelor of Science with Honors in Electrical Engineering from Imperial College, University of London. Upon the completion of his undergraduate studies, he pursued his Masters in Electrical Engineering from UC Berkeley. Knowing he would want to begin his career in the field of technology, he spent a quarter century working in the high tech industry, experienced in Aerospace, Medical Electronics, and Consumer Electronics. While working in Silicon Valley, Mr. Karmali published several papers and was awarded a recipient of a couple of patents. It was during this time that he began to evaluate his career and could not ignore the tugging passion for Education. A seed of excitement for teaching was planted and his past experiences having worked with young students in the field of Mathematics and Science re-ignited a spark for mentoring. Continuing to work in the industry, he pursued a part time teaching position at Ohlone College. Mr. Karmali was very fortunate to come to a point in his career where he could leave the industry with the support of his wife and begin the second part of his career in Education. His transition to teaching was fueled by the movie Stand and Deliver in which Jamie Escalante, a Bolivian engineer, left his budding career to teach AP Calculus at an East Los Angeles high school. Moments of that film has kept Mr. Karmali inspired for the past 16 years where he has shared his talents with Fremont Unified and of those year, 13 of them have been spent with the talented faculty at Mission San Jose High School. Teaching every level of math from Algebra 1 through Calculus BC, he is eager to motivate students to succeed in their understanding of mathematical conceptions. A recent retiree from his teaching career, he looks forward to continuing his passion for math by working with the students at Mill Creek Academy. His driven nature and high expectations will help students find their understanding of math in everyday life. 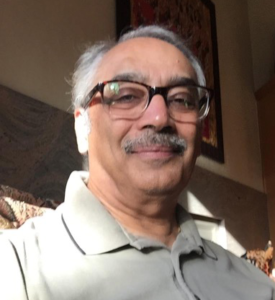 In “retirement”, Mr. Karmali hopes to spend more time at the gym, cook, travel, and read for pleasure!